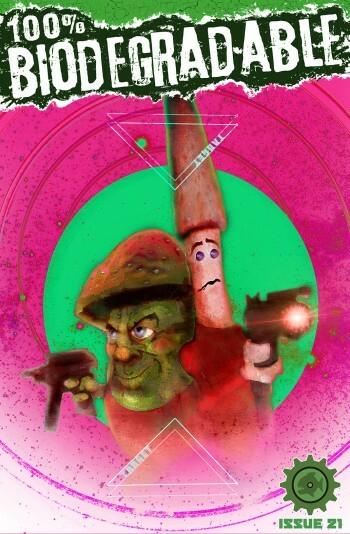 An explosive self contained 16 page ‘Funguys’ adventure by the legendary Ian Edginton (X-Force, 2000ad, Aliens) and Alan Burrows (Eagle, Red Dwarf). 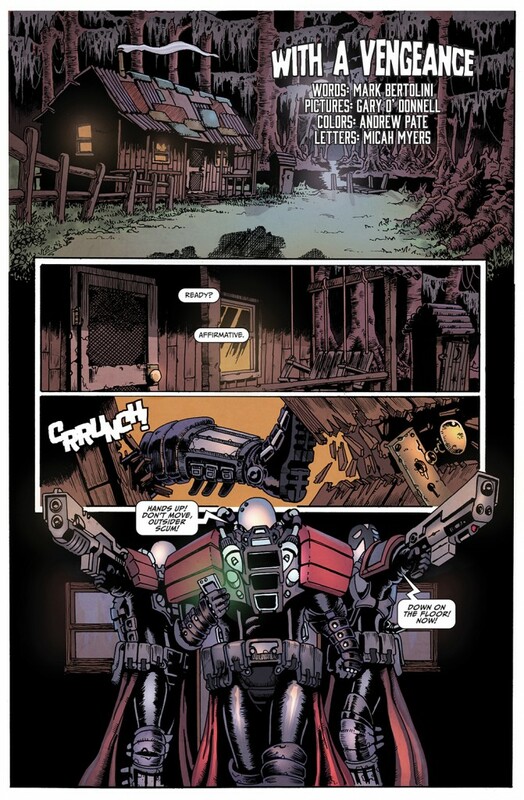 A young cyborg seeks bloody vengeance for the death of his parents in Mark Bertolini and Gary O’ Donnell’s ‘With A Vengeance’. A group of unwary space scavengers find themselves trapped in the midst of a battle between two superior intellects in ‘Catch’ by Mikael Lopez and N G Williams. You’ll never be able to look at a Jellybaby in quite the same way after reading ‘Squeaky Treats’ by Stu Smith and Tony Suleri. 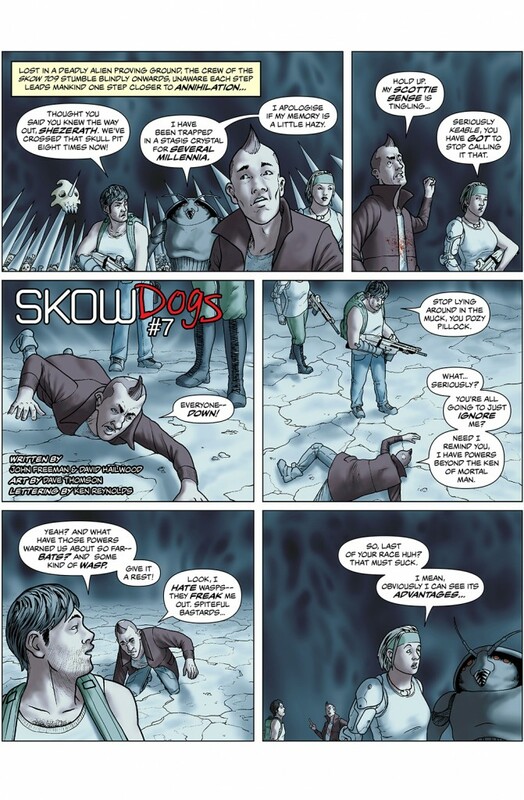 The return of an old adversary spells trouble for the crew of Skow 709 in ‘Skowdogs‘ by John Freeman (Dr Who, Judge Dredd Megazine), David Hailwood, Dave Thomson and Ken Reynolds. 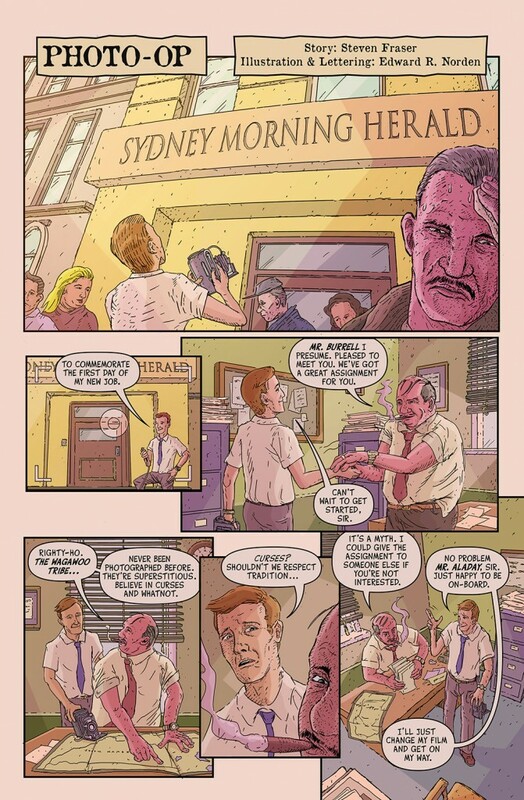 Synthetic eyes helplessly watch the downfall of humanity in ‘Lifeboats’ by Stu Smith, Scott Twells and Ken Reynolds. A hapless photographer puts his soul on the line to get the perfect shot in ‘Photo Op’ by Steven Fraser and Edward R. Norden. 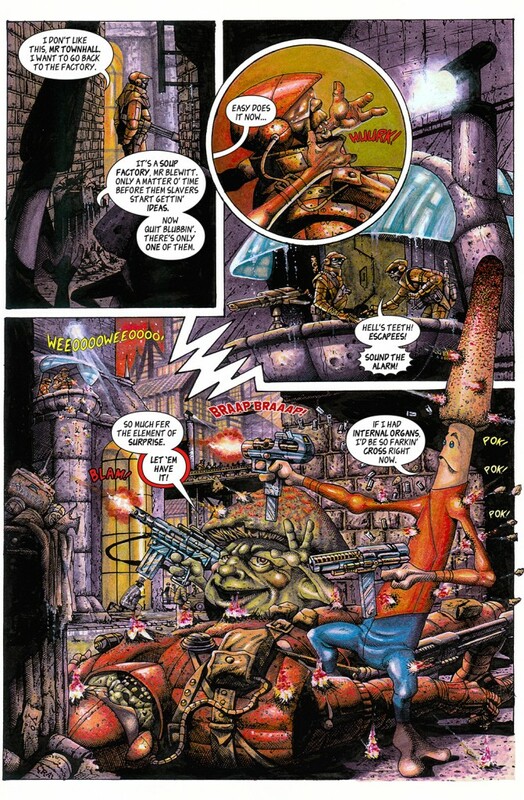 A gigantic 50 foot tall lizard has a bad day at the supermarket in ‘Supermarket Monster’ by Ben Peter Johnson (Viz, Hallowscream).